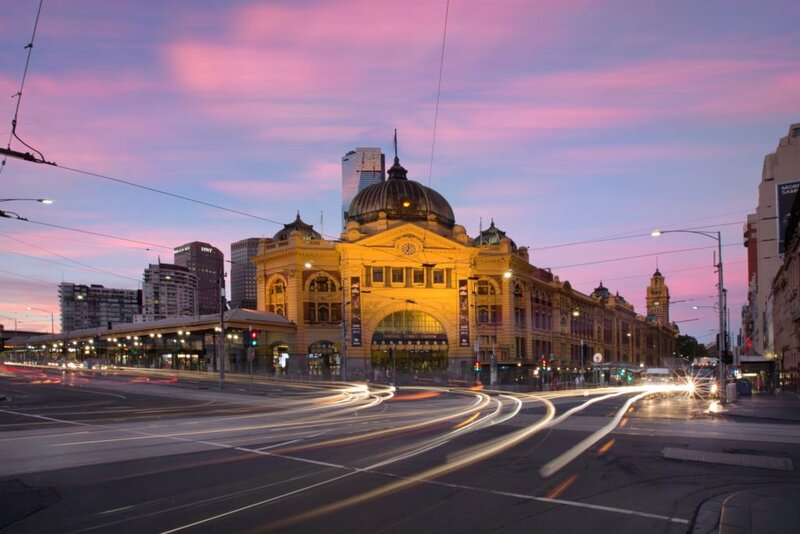 At every turn, you will find remnants of colonial history, a thriving arts and culture scene, and dedicated followers on their way to one of Melbourne’s many sporting events. This diverse destination offers the opportunity to build a tour solely around your curriculum of choice, with attractions and experiences to suit all ages. Inner city sightseeing Explore the Flinders Street Station, Melbourne's largest public transportation hub. Check out Federation Square, the dynamic public square where there's always something exciting going on. Afterwards take a stroll down Southbank, Melbourne's popular Yarra riverfront area. Australian Centre for the Moving Image Be immersed in film, television and media at ACMI. Optional activity - The Arts Centre Melbourne Explore The Arts Centre Melbourne, the flagship of the performing arts in Victoria and focal point of Melbourne's cultural precinct. Scienceworks Upon your arrival, head to the Scienceworks Museum and explore their interactive exhibits. Ask us about the educational programs that we can incorporate into your tour! MCG Enjoy a guided tour of the grounds and the National Sports Museum. Old Melbourne Gaol Enjoy a guided tour of Old Melbourne Gaol and find out what life was like for it's prisoners. Eureka Skydeck Take a self guided tour of the Eureka Skydeck and take in the awe-inspiring views of Melbourne from the highest public vantage point in the Southern Hemisphere! Sealife Aquarium Head to Sealife Aquarium and check out the creatures of the deep! Melbourne Zoo Explore the exciting animal exhibits on a guided tour of Melbourne Zoo. Optional activity - Theatre Performance Experience a show at one of Melbourne’s iconic theatres. Queen Victoria market Visit the historic landmark where you'll find everything from fresh fruit and vegetables, to hardware, clothing and souvenirs. Thank you for your interest in our WorldStrides Melbourne City Sights Tour! Please tell us a little more about yourself so we can get you sent to the right place.